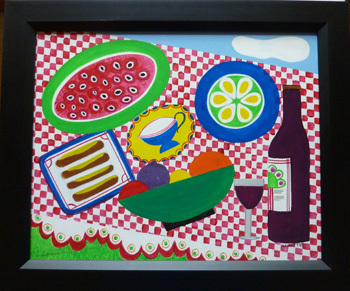 "Pot Luck" by Janis Mattox. This colorful acrylic painting shows off Janis' sense of fun and whimsy done with great details. The painting is 19 1/2" x 15 1/2". The outside edge of the frame is 23" x 19".